If you have served or been served with divorce papers, you may have already begun to experience the aftermath of starting the divorce process and are looking for advice as to how to proceed. Now that we’ve embarked on this journey of a divorce, are we really going to divide our friends? Legally you don’t have to, but does it happen as a matter of practicality in a divorce? Yes, you had couple friends, you had girlfriends, the husband had guy friends, and friends oftentimes will polarize. They will say, “Oh, gosh. I can’t believe she’s leaving you,” or “I can’t believe you’re leaving him.” Know that as you move through your journey that you may lose, or you may even gain some friends in the process. You can’t be shocked. You can say, “Well, that’s going to change my settlement position,” or “That’s going to change how I move about through this journey.” Know that these things can come up and when they do you need to be prepared on how you’re going to move forward. Child care expenses in a divorce is an issue that the parties really need to address at the onset. 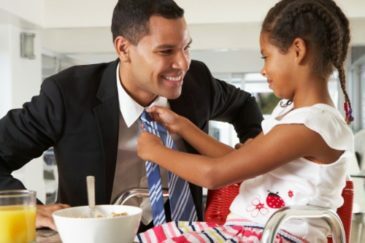 In particular, if one spouse has been a stay-at-home parent and now, post-divorce, he or she is expected to enter the workforce. There is going to be a cost for work related child care whether it’s before care, after care, or summer camp there is going to be a cost for both spouses now entering the workforce. Perhaps both spouses are already in the workforce and you employ a nanny. All of the expenses related to the children are something that has to be considered in your divorce whether you’re reaching a settlement agreement or you’re taking your case to trial. The cost for the children includes the cost for work-related child care and summer camp. Those costs will increase as the children get older the sports, the summer camps, and etc. That’s something that you want to factor in your financial consideration in your divorce. When parents are getting divorced, the children need to be a focal point in the process. Extracurricular activities are not something that’s included in the basic child support calculation. Whether your child plays lacrosse, takes piano lessons, ballet, soccer, or whatever the extracurricular activity is, it’s important that you discuss it. That you discuss it with your soon to be former spouse, that it’s in the family budget, and that you figure out what you’re going to do as your child and the sports become more involved or the activities become more involved or they become more expensive. Who’s going to drive? Whose duty is it to drive the children to their activities? What are we going to do when there’s a recital? What are we going to do when there’s a big match or a travel game? Are we both going? Can we handle going together? Those are all things that you need to think about and they need to be included in whatever your ultimate settlement agreement looks like. As you navigate your journey to a divorce, inevitably in the extended family everyone’s going to have advice. Whether it’s your mother, your father, your sister, or your former mother-in-law, everyone’s going to have advice to offer you and your spouse and in particular the children. Early on in your journey, set the ground rules. Decide who you want to hear from or who you don’t want to hear from. If there are children along your journey and the children are navigating this process too, so most importantly set the ground rules for the children. The divorce is not the topic at Sunday dinner with grandma. Respectfully, “Grandma, we’re not going to talk about this in front of the children.” They didn’t choose the journey. They’re navigating the process with Mom and Dad. Let’s not make it more difficult than it needs to be. Don’t be afraid to push back. Family means well, but badmouthing the former spouse is not going to help the children navigate the journey. If you want strong and caring guidance going forward with your divorce, please call our New Jersey divorce attorney Tanya Freeman today for a free consultation. This entry was posted in Divorce, New Jersey Family Law Blog. Bookmark the permalink.